Everybody has comfort foods that they gravitate to when they need a hearty meal with a touch of nostalgia and a taste of home. We feel the same way about comedians. No matter how many new joke and story tellers come on the scene, there's just something special about the old timers, and listening to them carry on makes us wax nostalgic about the good old days of comedy in the Catskills and in clubs. Buddy Hackett is one of our favorites, and from the comments you've made on previous postings, he's one of your favorites, too. 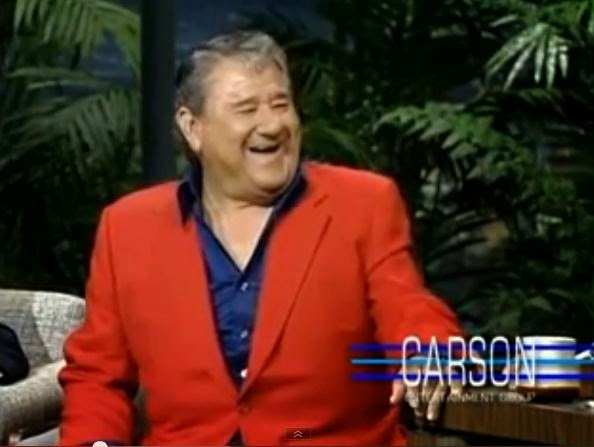 In this episode on the Johnny Carson show in 1989, Buddy tells Johnny how he changed his stage name from Butch Hacker to Buddy Hackett, how he came of age in the Catskills, and why he started using a Jewish accent.